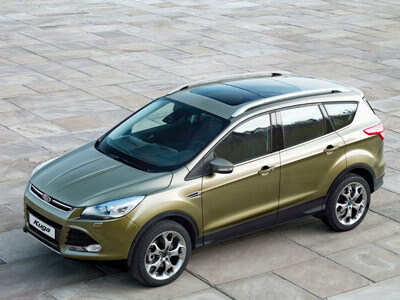 Ford South Africa has confirmed that the all-new Ford Kuga will be available in 2013 with a 1.6L EcoBoost petrol engine with 6-speed SelectShift automatic transmission and a 2.0L TDCi turbo diesel engine with PowerShift automatic transmission. Smart technologies like Ford’s voice activated in-car SYNC connectivity system will be available as standard while features such as Active Park Assist will be available as options on certain models. The global EcoBoost technology also features turbocharging and direct injection so that the EcoBoost engines can rival the power and performance of a larger engine – but at a fraction of the fuel consumption. The inclusion of a diesel will be welcomed by South African buyers. Ford may have a winner on their hands if it improves on the first Kuga which we tested earlier this year. Looking at the picture it looks like a good looking car. This entry was posted in News and tagged Ford, ford kuga, Kuga, new, new ford, South Africa. Bookmark the permalink.